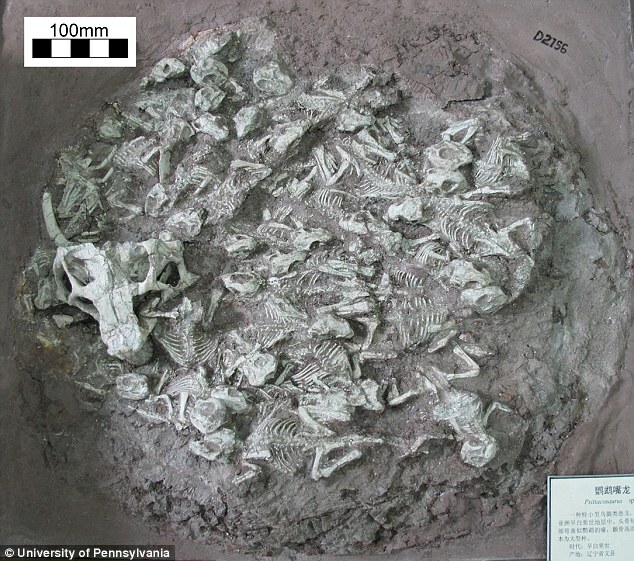 Did this dinosaur nest have a 'babysitter'? They may have a fearsome reputation, but some dinosaurs were so gentle they were used as babysitters, according to new research. A young adult could be in charge of dozens of babies in a prehistoric nursery while parents went out looking for food. Amateur paleontologists came upon the fossils, which are about 120 million years old, in the Lujiatun beds of the Yixian Formation in northeastern China. The positioning and nature of the fossils shows they all died together, possibly as a result of a landslide caused by a volcanic eruption which would not have given any time for escape. But the area was clearly not a nest either, said researchers looking into the find in Liaoning Province, known as one of the world's richest areas for dinosaur remains. Though the entire specimen is only about 2ft (0.6m) across, it contains fossils from 25 creatures, all of the species Psittacosaurus lujiatunensis - from the Greek for parrot lizard. Psittacosaurs were gazelle-like plant eaters and are among the most abundant dinosaurs yet discovered. This suggests this was a nursery where babies were left in the care of an adult, said University of Pennsylvania researchers Brandon Hedrick and researcher Professor Peter Dodson. They examined the remains under X-rays to find all were facing the same direction when they died, suggesting they were caught in some kind of flow. 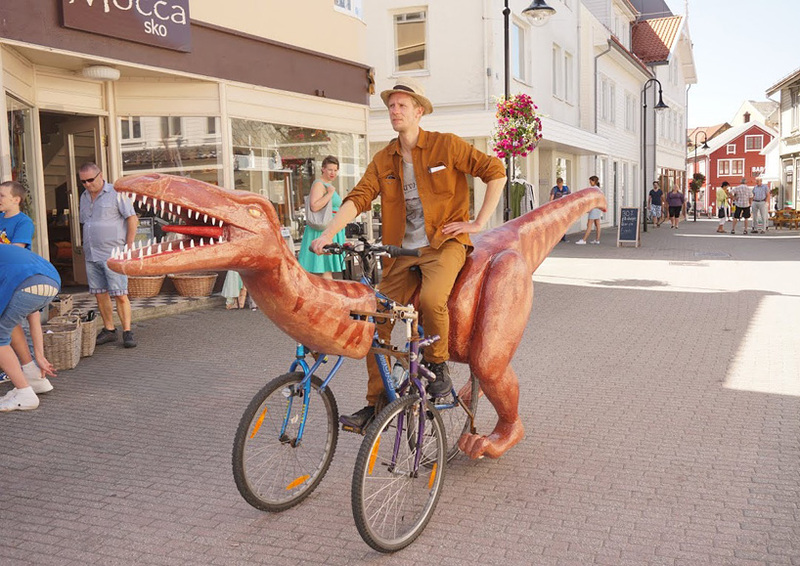 Fragments of rock found in the remains were of a volcanic material but the bones were not damaged so they were not battered to death, they told the journal Cretaceous Research. The babies were clearly old enough to move around and the adult was only four or five so was not old enough to be a parent of any of them as they reproduce aged eight or nine. The larger skull was firmly embedded in the same layer of rock as the 24 smaller animals. Two of the younger animals were in fact intertwined with the skull, signs that the animals were closely associated at the time of their death. The skull's size, about 4.5 inches (11.4cm) long, indicated that the animal was estimated to be between 4 and 5 years old. Earlier findings suggested that Psittacosaurus lujiatunensis did not reproduce until eight or nine years old, so this creature was probably not the parent of the younger dinosaurs. Given the close association of the young dinosaurs with the older individual, however, the researchers believe this specimen may offer evidence of post-hatchling cooperation, a behaviour exhibited by some species of modern-day birds. The older juvenile may well have been a big brother or sister helping care for its younger siblings. 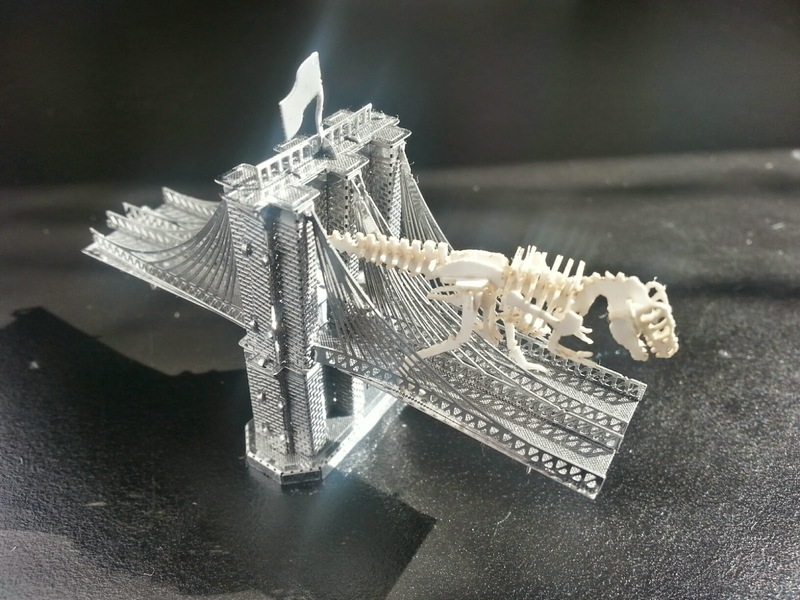 The scientists are now examining the tiny structures in the bones of the smaller animals to establish whether they were all at the same stage of development. Darn! Just missed this auction. Guaranteed Odor Free (according to the description). "New: A brand-new, unused, unopened, undamaged item." Um, it's used. Trust me. Steven schools us on what's wrong with our Tinysaur T-rex. Alex Stone, 16, says he was just doing an assignment. South Carolina cops take him in after he pens fictional story about shooting a pet dinosaur. A South Carolina student and his mom are steamed at school officials who called the cops after the high schooler wrote a story about killing his neighbor's pet dinosaur. "I could understand if they made him rewrite it because he did have 'gun' in it," said mother Karen Gray. "I mean first of all we don't have dinosaurs anymore. Second of all, he's not even old enough to buy a gun." Alex Stone, 16, has been suspended for the rest of the week from Summerville High School over the incident. He says he doesn't want to go back to the campus and would rather be home-schooled, WCSC-TV reported. Dinosaurs liked Arches National Monument too! MOAB — A hiker has discovered a new collection of footprints left behind 125 million years ago by a number of different dinosaurs. So far, the location is being kept secret. But the public may get a chance to see the tracks as soon as a few weeks from now. "It's tracks of the past, really, and it's very cool to be trying to preserve that information," science writer and volunteer Allyson Mathis said. Volunteers are sweeping, scraping and brushing the stuff that's hidden the tracks from view for eons. "Over 200 tracks that we're aware of so far that we've uncovered,” volunteer Lee Shenton said. “And at least one case where there's 17 consecutive prints from the same animal. “I think it's going to be something really important. It has at least a dozen different animals." 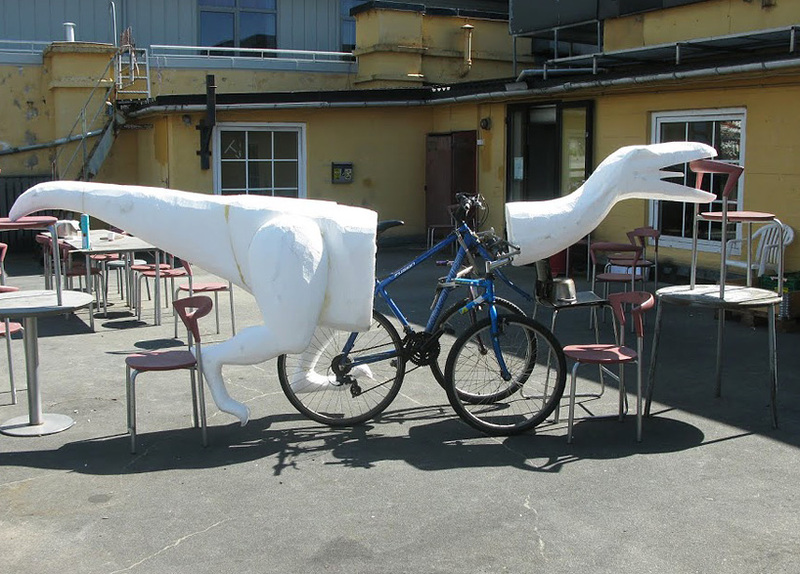 Jocelyn Hall just spotted an error in our list of dinosaur attractions in the US. (We accidentally put her favorite Florida destination, Dinosaur World, in Colorado.) Thanks Jocelyn! We're sending her a complimentary Tinysaur for spotting the error. Feel free to check our listings for other errors, or add your favorite if it's missing. 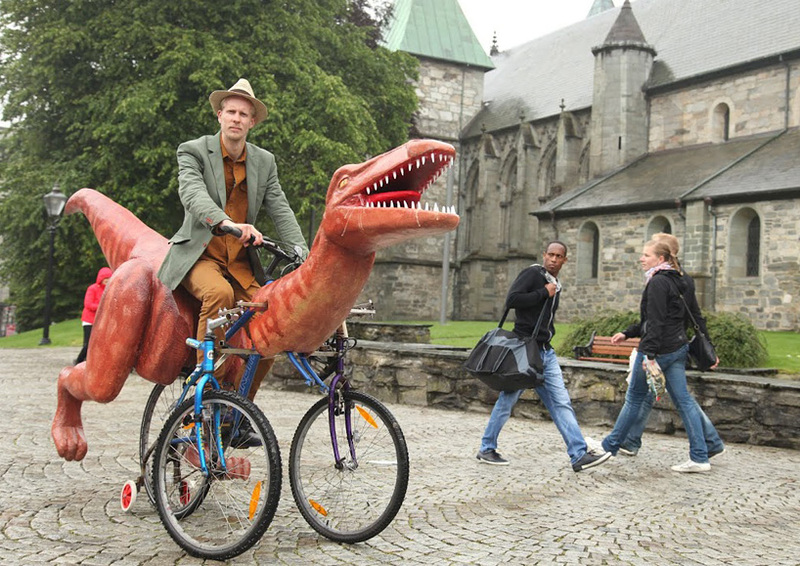 We'll be publishing other countries' dinosaur attractions in the coming months. ...but no best friend yet. Researchers have unearthed numerous teeth, hip, and leg bone fragments that belong to a new dinosaur species they’ve now named Laquintasaura venezuelae. It’s the first dino found in the north of South America. An international team led by Paul Barrett from the Natural History Museum in London described the new species in Proceedings of the Royal Society B this week. Laquintasaura walked on its two hind legs and was about the size of a small dog. The largest femur found was 90 millimeters long, suggesting that the bipedal dinosaur’s total body was about one meter in length and 25 centimeters tall at the hip. How did birds emerge from a lineage of large dinosaurs whose clawed feet were planted firmly on the ground? Size really matters, according to a team of scientists that traced the incredibly fast shrinkage along 50 million years of ancient avian evolution. The findings, published in the journal Science, show how the continuous miniaturization of this dinosaur lineage allowed for a whole host of physical changes that made powered flight possible. Paleontologists have long known that birds evolved from dinosaurs known as theropods, a group that included the formidable Tyrannosaurus rex. But there’s been considerable argument over whether the branch of theropods leading to birds really was quickly shrinking until the earliest birds emerged roughly 160 million years ago.